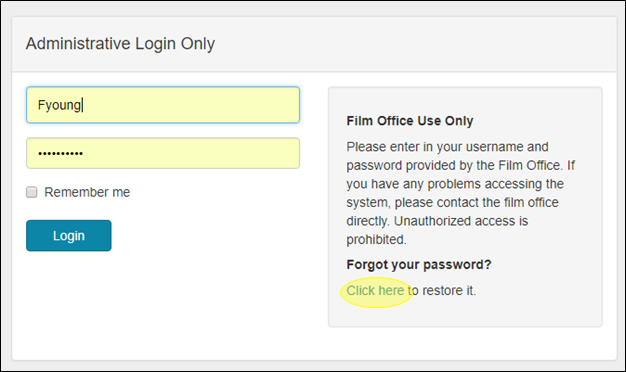 Accessing Reel-Scout™ version 10 (RS10) is easy, and is accomplished by navigating to your film office’s RS10 portal on your web browser. Go to http://______.reel-scout.com (the blank space will be your film office’s unique acronym). The Reel-Scout staff has created initial user credentials for your film office’s employees and affiliates. Enter your username and password and click Login. A Remember me box can be checked to save your login credentials on your computer. If you have forgotten your username or password, click the link under Forgot your password? on the right-hand side of the login screen. You’ll be directed to enter your email information, and RS10 will send you your user credentials and password reset information. RS10 is a fully responsive, cloud-based, application. Reel-Scout can be used on any internet enabled device regardless of screen size, including desktop computers, laptops, tablets, and smartphones. You will note that your film office’s branding is located in the bottom left-hand portion of your screen. Locations – This menu selection allows film office staff to manage all aspects of their location library. Information can be revised, and images can be quickly added or updated within this area of RS10. Contacts – This area stores the names of contacts and their associated information in a confidential, centralized, and shared location. The contacts function allows users to efficiently utilize a single point of entry for contacts that interface with their film office in more than one capacity. Projects – Within this menu selection, film commission users will find the prospects and productions with which they have worked. The projects area of RS10 allows for the tracking of production information is as much or as little detail as is available or required. Crew (optional) – This area consists of a comprehensive directory of all local crew and film support services, based on their registrations. The list can be edited by the film office staff and is fully searchable through a top-of-page search window. Tourism (optional) – This selection allows film commissions to maintain a list of projects on which they have worked. Clicking on the production title reveals details, locations, and still shots of the film. This new feature enables film offices to produce information that is helpful in evaluating film and television tourism opportunities. Jurisdictions (optional) – This menu option reveals a searchable list of authorities with which a film office may want to interface. 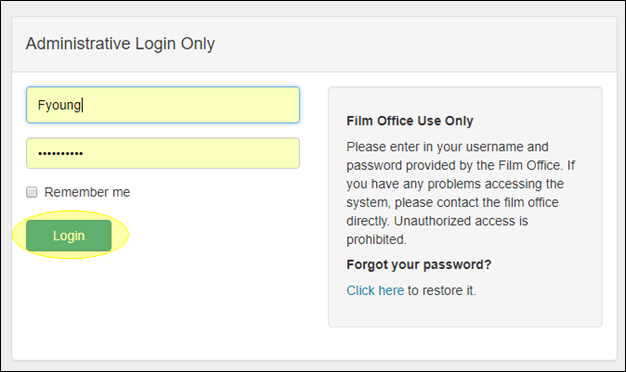 Admin – The admin menu option allows film office administrators to control access permissions to their RS10 platform. Help – This menu selection includes a clickable collection of topics and resources, along with an FAQ section to address common issues. *NOTE: Each main menu selection has within it a variety of options. The main menu item that has been chosen remains white highlighted in the left-hand menu bar while the user is navigating within that selection.